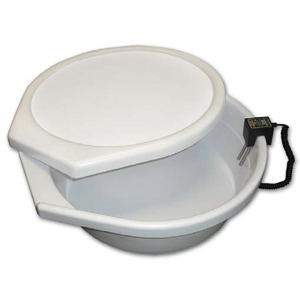 This 20’’ Diameter Tray allows you to soak your ultrasound transducers while completely immersed in disinfecting solution. The lid completely covers the tray, limiting the fumes. Your ULT dual conductivity probes (not included) easily fit on the side of the tray for use during leakage testing.